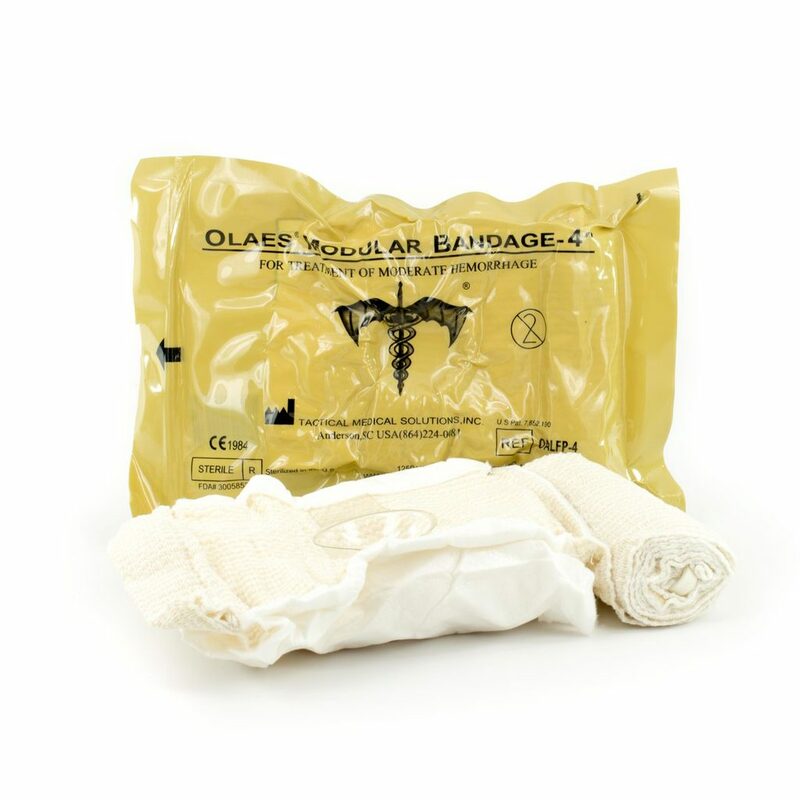 The OLAES® 4″ Modular Bandage is one of the newest generation of trauma bandages with advantages for all levels of care providers. It provides high versatility for multiple situations. The OLAES® 4″ Modular Bandage, from Tactical Medical Solutions, is packed with features such as 3 meters of gauze, a removable occlusive plastic sheet behind the dressing pad, and a pressure bar that can also act as an eye cup, the advanced capabilities of the bandage are tucked neatly away and can be utilized if required or simply ignored. No hooks or clips to confuse or delay care. Velcro® ‘Control’ strips prevent the elastic roll from accidentally unraveling and secure the bandage throughout the application process. 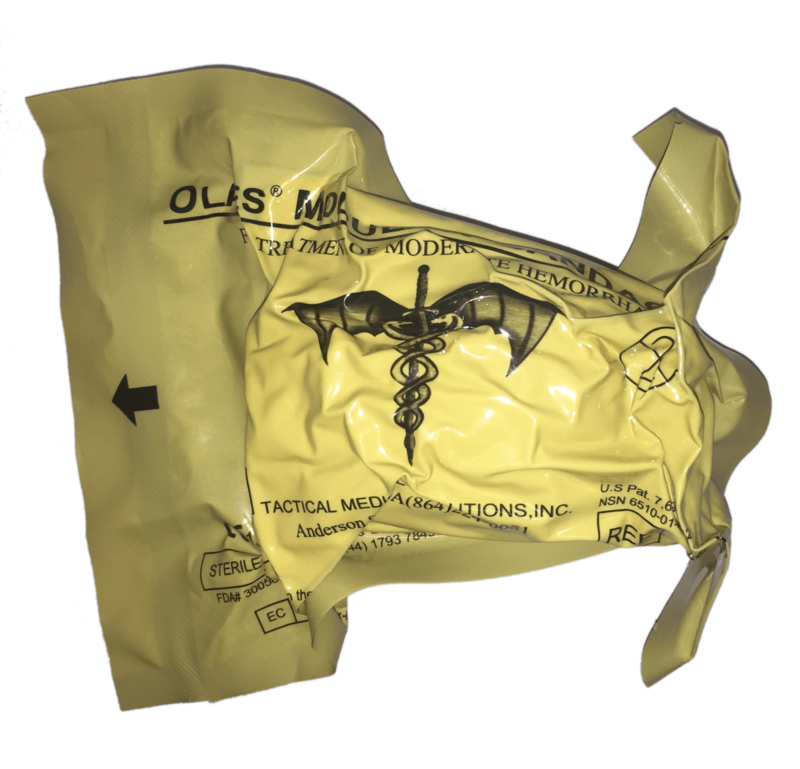 Designed with direct input from some of the most experienced combat medics in the world, no detail has been left out. 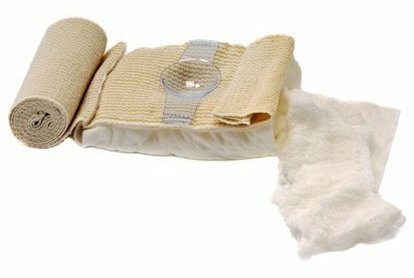 From the adhesive ‘brakes’ on the elastic bandage that prevent accidental unrolling to the zig-zag packed gauze that easily feeds from the bandage, this is the most comprehensive feature packed bandage available without any added confusion. 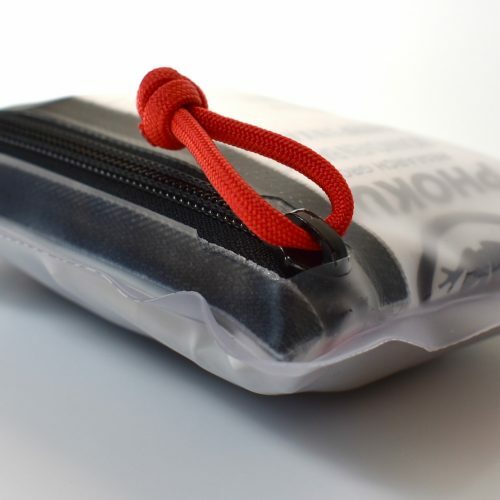 No other bandage offers so much versatility in such a small package. Cover minor wounds, apply truly effective pressure dressings, apply occlusive dressings, and have the ability to pack severe wounds with one bandage. During high stress situations, such as those involving casualties, stress effects on human performance often affect the fine motor skills of individuals. 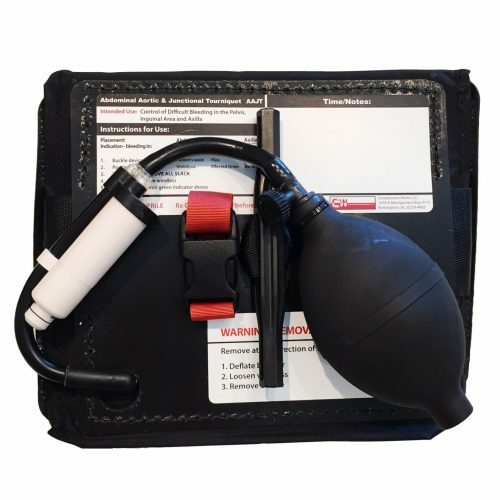 This makes simple tasks such as bandage application more difficult and time consuming. 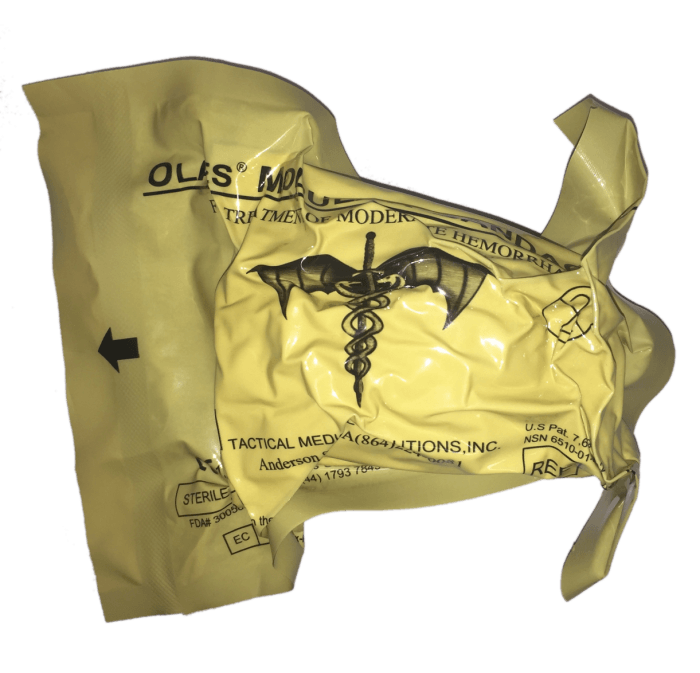 By creating a bandage where application involves only gross motor skills, no direction changes around hooks or bars, the Olaes® Modular Bandage significantly offers a simpler and more effective solution in bandage options. The elastic simply requires wrapping where the elastic stays flat instead of turning into a cord. 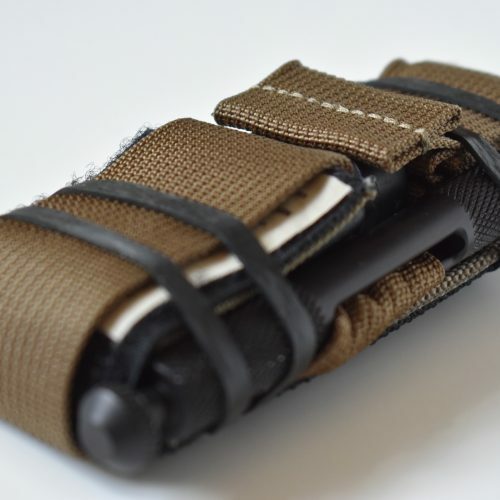 Control of the elastic roll is maintained by the ‘Control Strips’ should the elastic be dropped. You no longer have to open or carry a package of gauze and a separate bandage as both are included in the same package.